Legionella Pneumophila is a respiratory infection that strikes susceptible individuals who are exposed to it. Infection usually occurs by inhaling aerosols, fine sprays or other microscopic droplets of water. Legionella Pneumophila are small enough to pass deep into the lungs. They are deposited in the alveoli, which are the small pockets in the lungs. Ingestion of Legionella Pneumophila does not always cause immediate illness. There can be a 2 – 10 day incubation period. Most reported cases occurred in the 40 – 70 year old age group. Smokers, people with cancer and chronic respiratory diseases are at a higher risk. Fatality rates are 15% General Population, 40% Hospital Environment. Legionella Pneumophila are rod shaped bacteria which are commonly found in all pools of water whether they be a natural or man made aquatic environment. Certain amoebae and other protozoa that harbor Legionella as endosymboints – allowing them to thrive, resist harsh environmental conditions (including biocides) and to significantly amplify. Legionella Pneumophila uses free living amoebae as well as ciliated protozoa. From these amoebae they can infect the cells within human lungs under certain circumstances. Initial symptoms of Legionnaires Disease include high fever, chills, headache and muscle pain. Dry cough soon develops leading to more difficulty breathing. Some patients develop diarrhea or vomiting and can become confused or delirious. Pontiac Fever is a common but less serious infection caused by Legionella. Symptoms are similar to influenza. Monitoring the levels of viable Legionella on a regular basis in order to evaluate the effectiveness of the maintenance program. There is no specific infectious density known for Legionella. In fact legionella is frequently present in water supplies without causing disease. However, not testing will tell you nothing about your system – until a case of Legionnaires Disease occurs. We recommend that your company be proactive with Legionella testing and implement an action plan based on results. The total bacterial numbers, by themselves, are not informative about the status of Legionella in a cooling tower. Levels above 200,000/ml are sometimes used to indicate general biofouling in the tower water. Biofouling may lead to interference with heat transfer in the tower, but is not directly related to a health concern. Following disinfection of a cooling tower, the total bacterial numbers often show a temporary dramatic increase (>200,000/ml), but drop back to regular levels once the microbial ecosystem has been re-established. 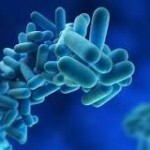 In nature, Legionella are ubiquitous, but constitute a very small percentage of the total bacterial population (i.e. < 1%). Occasionally in cooling towers, the percentage of Legionella in the tower water increases dramatically, sometimes approaching 100%. In many of these situations, the level of Legionella is also in the high range. The tendency for Legionella percentages to increase above 1% would suggest that the Legionella have become more resistant to one or both of the current biocides, and that there is an increased risk of amplifying to higher numbers. In these situation (regardless of the actual level of Legionella), an alteration to different biocides should be considered. Recommendations to disinfect would be the same as above. This number reflects both living and dead Legionella detected by immunofluorscence microscopy. The test also frequently detects non-Legionella cross-reactive bacteria (i.e. false positive reaction). Thus, an FA test should never by used as the sole basis of a risk assessment. Rather, the results give some indication of the recent history of Legionella in a cooling tower. For example, a high level of FA – positive bacteria (in the absence of viable Legionella) suggests the accumulation of dead Legionella from prior colonization. The Legionella may have been killed by chemical biocides, or other conditions in the tower. Re-sampling of such a high FA tower in order to confirm the Legionella status would be recommended.